We get lots of request for people to take part in shows and research projects. Here are just a few , please join our mailing list via the home page to stay up to date with all requests. Any agreement to take part in shows or research is between you and the media company, We are not part of any media organisation. I am a reporter for the Daily Express online and I am currently working on a video package to look at the cost of obesity on the NHS. The plan is to speak to a surgeon, interview someone from the IEA and then we also will be interviewing a Government minister in the Department for Health and Social Care. 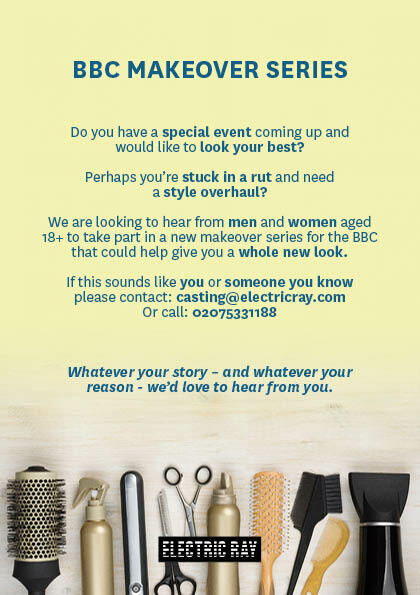 But I am also looking to interview someone that has undergone bariatric surgery and discuss how it went and what their life has been like post-surgery. It is a video package so we would be interested in doing a video interview. We are based in London but we can definitely come out of the city to do the interview. Anyone based in the southeast of the UK would be preferable. 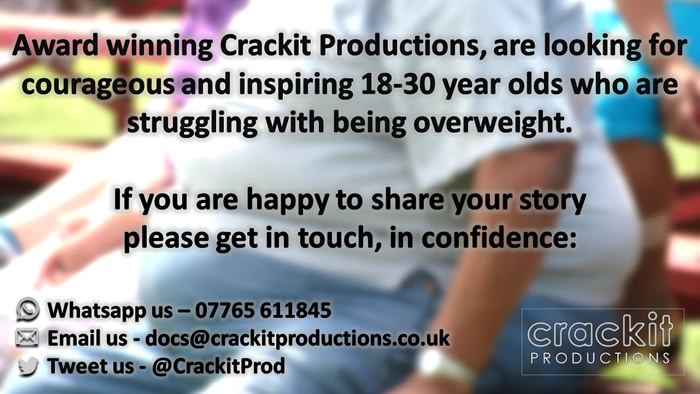 We have been granted access to the bariatric unit of a major NHS hospital, around which we intend to make a sensitive and uplifting documentary, focussing on the important work they do. 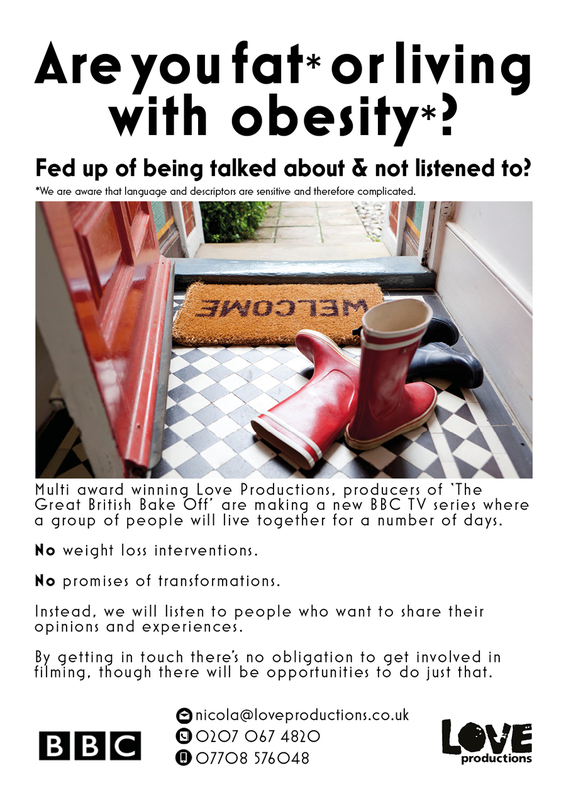 We would love to speak to some people , who suffer from obesity and who are considering barbaric surgery. It would be a non broadcast, informal interview that would purely be for our own internal use. It would be fantastic, and very useful, for us to speak with them honestly about their reasons for considering a procedure, as well as any fears doubts or concerns they have about going through with the operation. If anyone would be available, even just for an informal phone chat, then please do encourage them to get in touch with me on 0333 800 8899. Or drop me an email on fionnan.h@angeleyemedia.co.uk . All content within Big Matters website is provided for general information only and should not be treated as a substitute for the medical advice, diagnosis or treatment of your own doctor or any other health care professional. Big Matters Ltd is not liable for the contents of any external internet sites listed, nor does it endorse any individual, including all independant consultants on this site, any commercial product or service mentioned or advised any of the sites including nutritional information supplied herein. Always seek the advice of your doctor or other qualified health care provider if you have any questions regarding a medical condition, your diet or before embarking on any exercise program or if you're in any way concerned about your health. Under no circumstances shall Big Matters be liable for any loss, damage or harm caused by a User's reliance on information obtained through this site. It is the responsibility of a User to evaluate the information, opinion, advice or other Content available on Big Matters website.Jessica Villa, Leigh Brandon & Richard Krijgsman are all independant consultants.